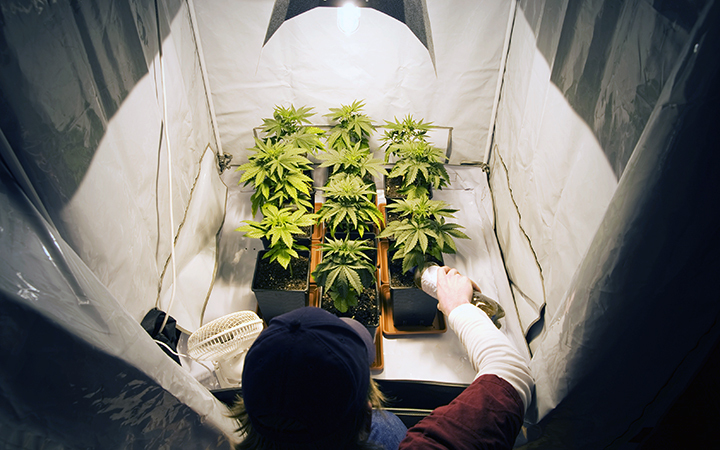 Grow Marijuana Seeds Indoors Quickly And Easily With These Top Tips! Growing marijuana indoors is easy but a time-consuming process. It requires your energy and attention and even though it comes with challenges, doing it right will give you good results. If you are an enthusiastic cannabis lover and you’d want to grow some in your home but you don’t know how to do it, you have come at the right place because here are comprehensive tips on growing marijuana seeds indoors. The grow space must be easy to clean because sanitization is paramount when growing plants indoors. Avoid any material that’s difficult to clean such as raw wood, drapes, and carpets. Space must also be light-tight to prevent light leaks that can possibly confuse your plants. Growing marijuana seeds seems to be a complicated process but it is easy and anyone can do it and even for the first time expect tremendous results. Besides, you don’t require a large space because you can even grow them in your bedroom. Therefore, if you love marijuana and you’d like to consume as much as you want, grow them indoors and you will never regret.